Pay Per Click advertising is the most effective way to gain immediate exposure for your website. Along with strong SEO efforts, social media marketing and content generation, Pay Per Click advertising (PPC) can give you a robust online route to reaching the highest potential of success for your business. Both Google and Bing use PPC advertising and you can choose to advertise on both with Google Adwords or Bing Adcenter, or choose just one depending on which search engine you think your target market is most apt to find your business with. Before you get started with Adwords or Adsense for your PPC campaigns, take some time to set concrete goals in regard to what the ads will be used for. 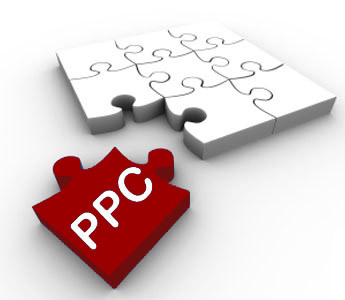 You can choose a PPC campaign that is targeted to create brand exposure, sales, announce a promotional or contest. The specific goals you choose will have everything to do with how you will continue to create your ads and what keywords you will want to focus on. When you have set some goals you would like to accomplish for your business, create a budget that is reasonable for PPC campaigns. There are no minimum requirements, so you can set a campaign with a $10 a day limit or $100 per day limit. When your ad has been clicked on enough times to meet that limit, it will not show up again until the next day. This means that a $10 budget might show the ad 100 times until enough people have clicked through to your website and it could be less than that depending on how compelling your ad is. Speaking of compelling ads, relevance is the next topic you should focus on before getting started with creating your ads. The more relevant and targeted you can create you ad, the more it will have a chance of succeeding because a general ad is usually not compelling enough for people to want to click on to learn more. With this in mind, if your business is about tents and your ad just says, “Buy Tents from our website” the chances of people clicking through is minimal. If your ad says “The best Tents at Discount Prices” it will have a higher chance of people want to learn more about how good your tents are and what kind of savings they can expect. After you have set goals, created a budget and defined the most relevant way of portraying your ad, you are ready to get started. Whether you choose Adwords or Adsense, the same rules apply about writing a compelling headline, creating a brief statement and including a relevant link. From that point, you only have to keep an eye on how the ad performs and converts search engine users into paying customers. Pay per click advertising is one of the best way to bring leads into your business and build a strong base of potential prospects compared to other paid advertising. We give it a 4.5/5 score.